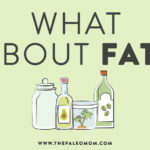 In recent years, the belief that all fat is bad (a relic of the Food Pyramid and nutrition advice from decades ago!) has all but died. Now, the concept of “healthy fats” has taken hold, and low-fat diets are no longer seen as optimal even in mainstream nutrition. Woot! Well, that’s the good news: the bad news is that there’s still a great deal of confusion about what healthy fats (and unhealthy fats) really are! In fact, even recent science news articles have expounded on vegetable oils as being the best choice, citing research on olive oil. They. Are. NOT. The. Same. Thing. 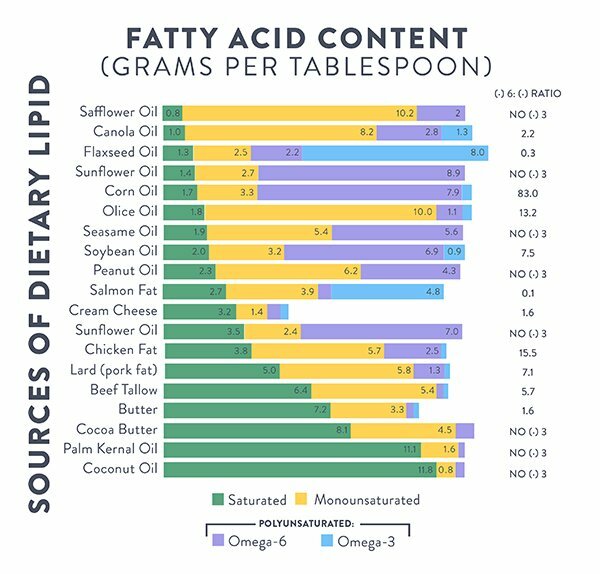 When we look closely at the evidence, it’s easy to parse which oils and fats are healthy, and processed vegetable oils are firmly on the “bad for us” list, while natural fats (including from animals!) not only make our food tastier, but can actually benefit our health. 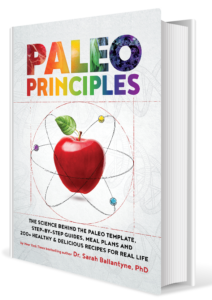 That’s why avoiding processed oils (and embracing healthy sources of saturated fat, monounsaturated fat, and omega-3s) is a major tenet of Paleo eating. But, plenty of high-profile institutions (like the American Heart Association, the USDA, and even Harvard Medical School) are still promoting processed vegetable oils as good for us, especially when it comes to cardiovascular health—largely because of their tendency to lower LDL cholesterol. Why the conflicting advice? Let’s clear up the confusion by seeing what processed oils do in our bodies, and why they really don’t deserve a place at the table! Processed vegetable oils are unsaturated oils extracted from seeds (including grains and legumes). Think: soybean oil, corn oil, sunflower seed oil, cottonseed oil, and canola oil, just to name a few. 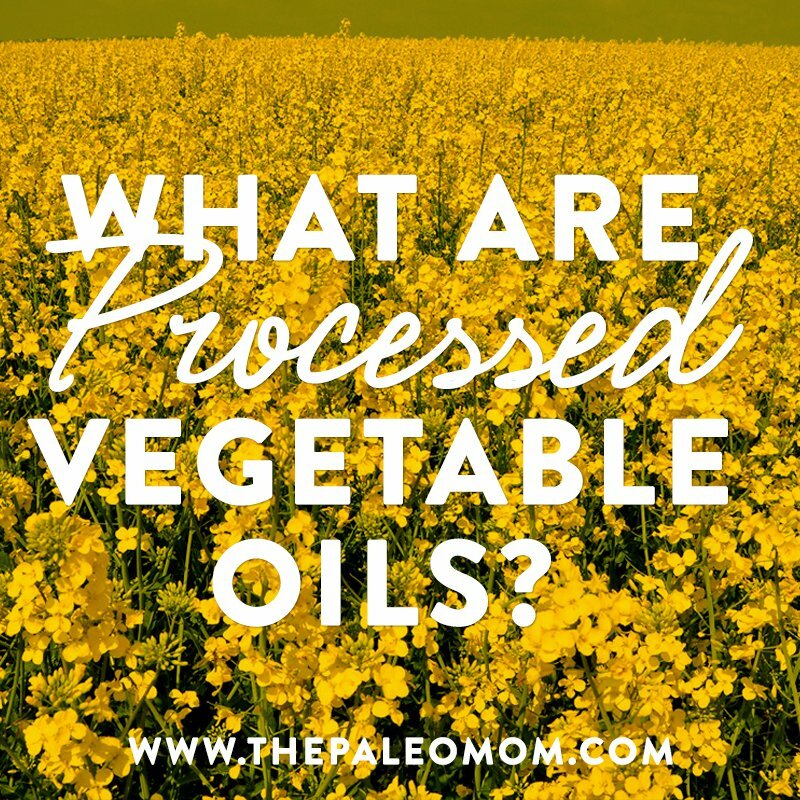 By definition, vegetable oils require extensive processing because the types of plants these oils come from don’t give up their fat very easily (imagine trying to extract fat from corn kernels!). That processing can include the use of mechanical extraction, high heat, industrial chemicals, deodorization, and toxic solvents. 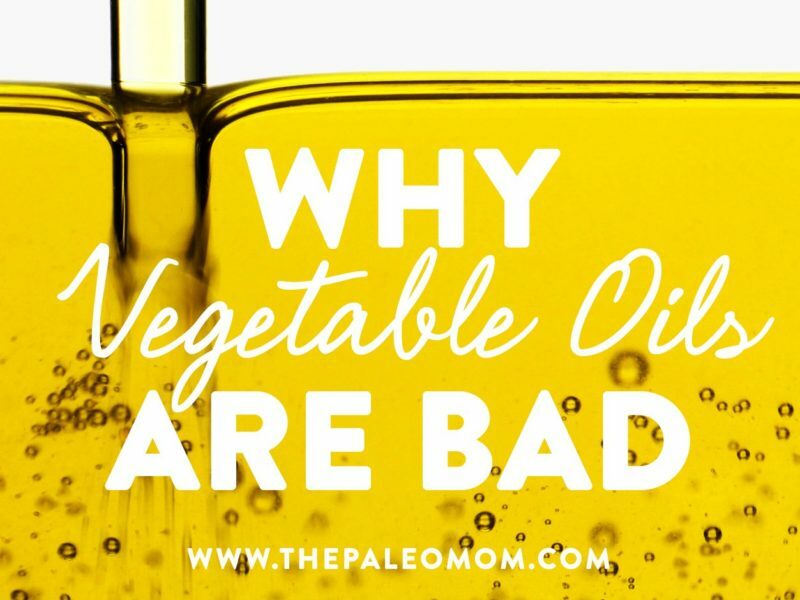 And, because this type of mechanical and chemical extraction didn’t exist until fairly recently, vegetable oils are relative newcomers to our diet. 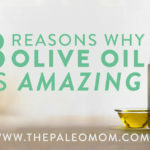 Some plant-based oils are totally fine (like extra virgin olive oil [see Olive Oil Redemption: Yes, It’s a Great Cooking Oil! ], avocado oil, macadamia nut oil, and coconut oil) because they can be cold-pressed, require far less processing, retain more micronutrients and antioxidants, and have a more beneficial fatty acid profile. On the flip side, processed vegetable oils are harmful for a few major reasons. The predominant fat in processed vegetable oils is omega-6, mostly in the form of linoleic acid. Although small amounts of essential omega-6 fats are necessarily for us to stay alive, most people eat way more than we require, especially relative to our omega-3 intake (omega-6 and omega-3 compete for the same rate-limiting enzymes, so balancing them is important). Ideally, the ratio between omega-6 and omega-3 fats should be close to 1:1, but the ratio in Western diets is closer to 16:1! And, we owe a lot of that to a high intake of vegetable oils (along with grains and grain-fed animal products). In fact, between the years 1909 and 1999, the US consumption of soybean oil alone increased 1000-fold! That led to a huge spike in the percent of our daily calories that come specifically from omega-6 fats. The problem? Omega-6 fats contribute mainly to pro-inflammatory pathways, and when eaten in excess (or not balanced out with enough omega-3), they can stir up tons of trouble. 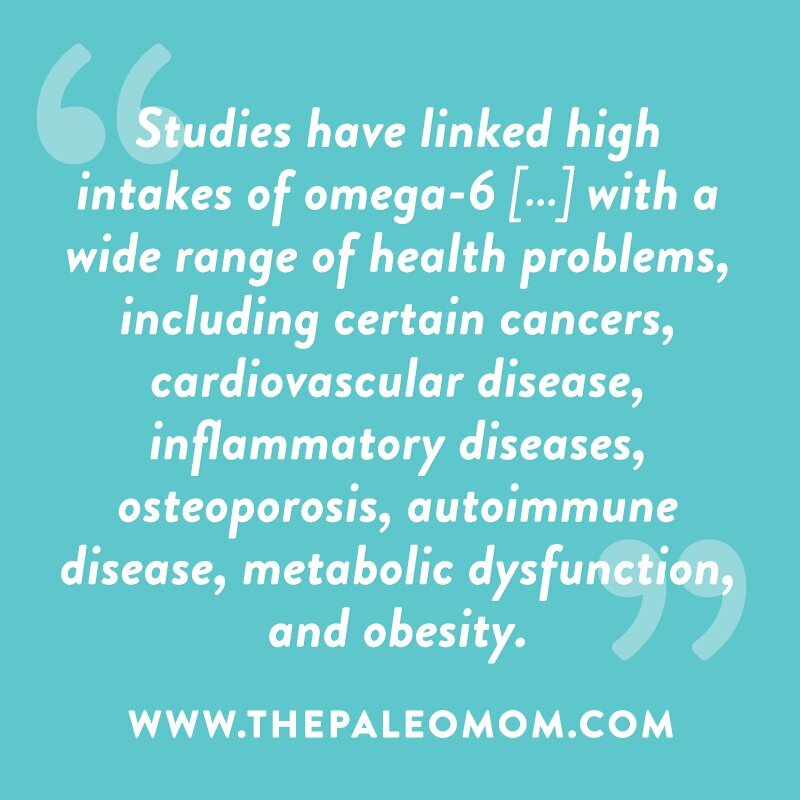 Studies have linked high intakes of omega-6 (and a high ratio of omega-6 to omega-3) with a wide range of health problems, including certain cancers, cardiovascular disease, inflammatory diseases, osteoporosis, autoimmune disease, metabolic dysfunction, and obesity. 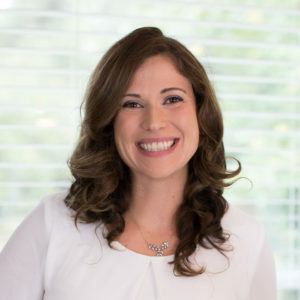 And, trials involving a reduction in the omega-6/omega-3 ratio have been shown to improve survival after the development of heart disease, reduce the proliferation of rectal cells in people with colorectal cancer, reduce asthma symptoms, and suppress inflammation in people with rheumatoid arthritis. 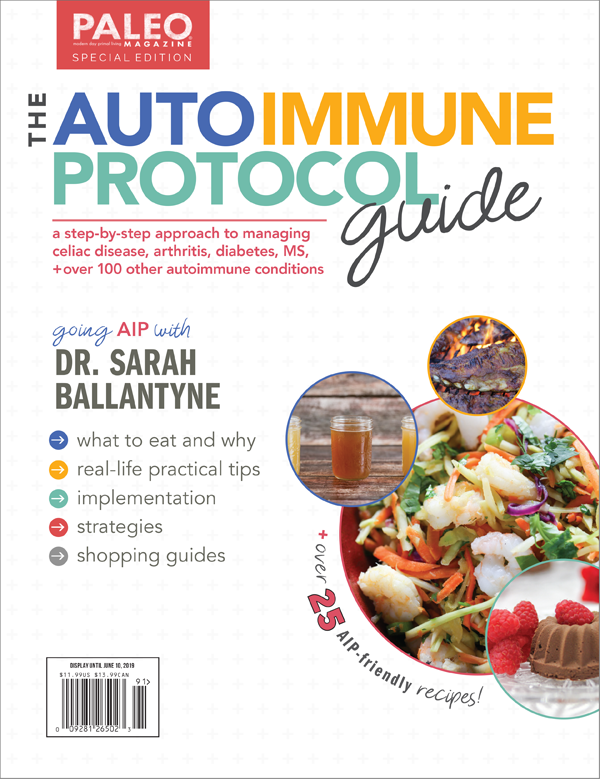 Bottom line, introduction of processed vegetable oils into our diet has pushed our omega-6 intake to unprecedented levels, and may be at the root of many modern chronic diseases. One of the problems with highly unsaturated oils is their susceptibility to oxidation. 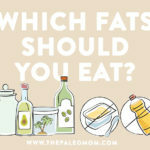 Because polyunsaturated fats (like omega-6 fatty acids) contain multiple double bonds (compared to monounsaturated fats, which have only one double bond, and saturated fats, which have none), they’re prone to reacting with oxygen. 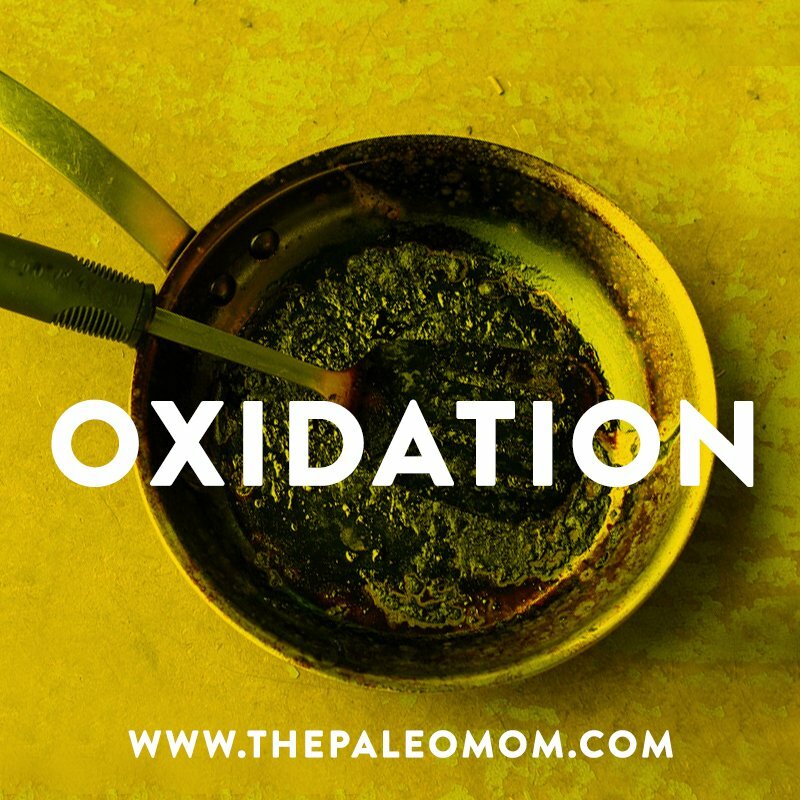 This can happen before the oil ever enters our body (such as while cooking, or if the oil is improperly stored and becomes rancid), but it can also happen in our bodies when the fats we consume from vegetable oils get incorporated into our tissues. While consuming already-oxidized oils is bad, oxidation of fats inside our body is also highly problematic. One of the ways a high omega-6 intake may contribute to cancer is by increasing the proportion of omega-6 in our cell membranes, leading to lipid peroxidation and ultimately DNA damage. By contrast, saturated and monounsaturated fats are much less prone to oxidation as a result of their chemical structure! Given what we know, there’s truly no reason to include processed vegetable oils in our diet (but plenty of reasons not to!). And that doesn’t just mean the bottled oils we have in the pantry: processed oils can sneak their way into products like mayonnaise, salad dressing, and any packaged food. Checking labels goes a long way! 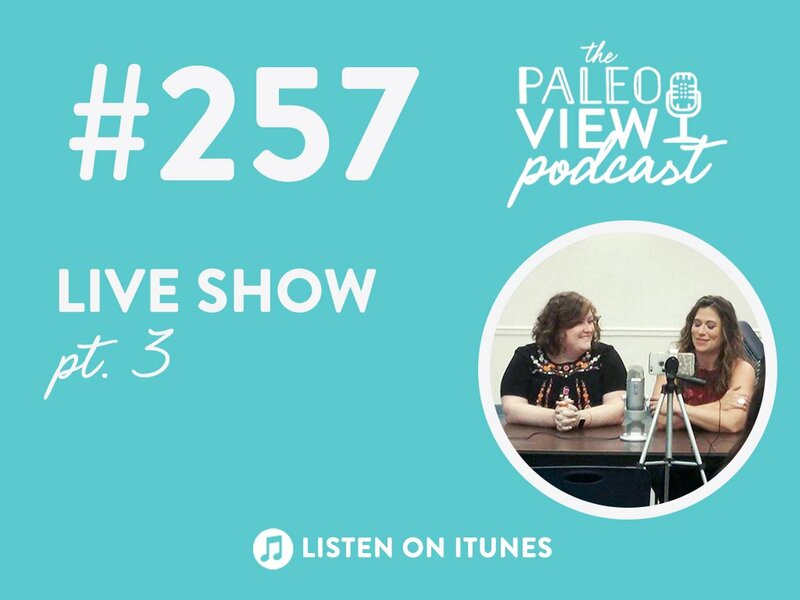 So, what should we use in place of processed vegetable oils? 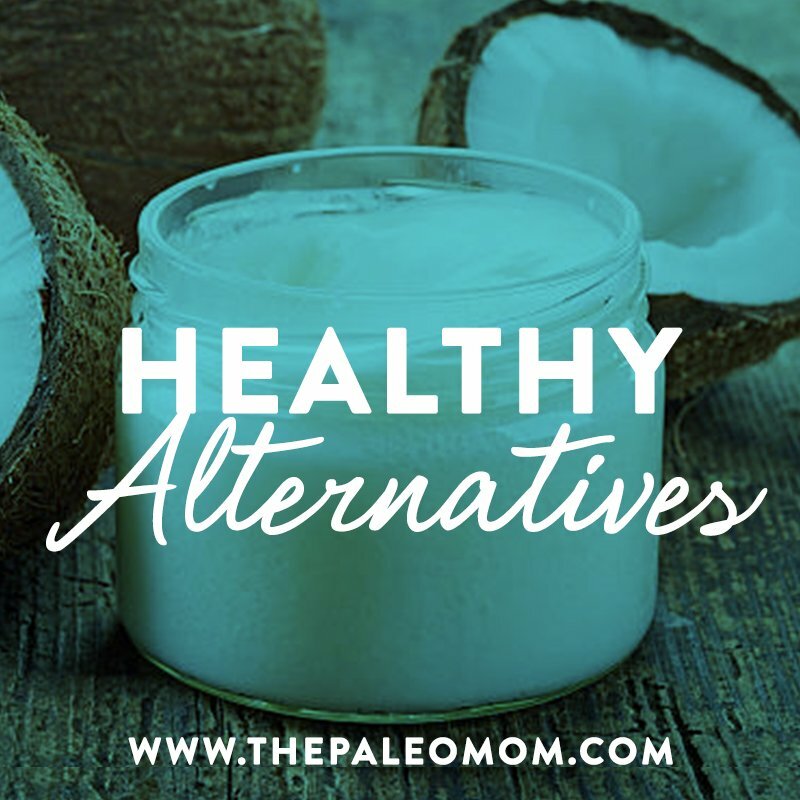 Depending on the dish and cooking method, olive oil, macadamia nut oil, flax oil, coconut oil, palm oil, grass-fed butter (for those of us who tolerate it), lard, tallow, duck fat, and other animal fats can all be great Paleo-friendly alternatives. 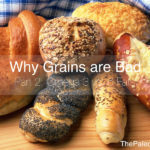 And of course, many whole foods (like olives, coconut, avocados, nuts, seeds, fatty fish, fish roe, eggs, grass-fed meat, and high-quality dairy for those who tolerate it) can supply an even wider range of micronutrients while also providing plenty of beneficial fat; check out my post, “Which Fats Should You Eat?” for more details! Blasbalg TL, et al. “Changes in consumption of omega-3 and omega-6 fatty acids in the United States during the 20th century.” Am J Clin Nutr. 2011 May;93(5):950-62. Longo AB & Ward WE. “PUFAs, Bone Mineral Density, and Fragility Fracture: Findings from Human Studies.” Adv Nutr. 2016 Mar 15;7(2):299-312. Muhlhausler BS & Ailhaud GP. “Omega-6 polyunsaturated fatty acids and the early origins of obesity.” Curr Opin Endocrinol Diabetes Obes. 2013 Feb;20(1):56-61. Nair J, et al. “High dietary omega-6 polyunsaturated fatty acids drastically increase the formation of etheno-DNA base adducts in white blood cells of female subjects.” Cancer Epidemiol Biomarkers Prev. 1997 Aug;6(8):597-601. Simopouls AP. “Evolutionary aspects of diet, the omega-6/omega-3 ratio and genetic variation: nutritional implications for chronic diseases.” Biomed Pharmacother. 2006 Nov;60(9):502-7. Simopoulos AP. “The importance of the omega-6/omega-3 fatty acid ratio in cardiovascular disease and other chronic diseases.” Exp Biol Med (Maywood). 2008 Jun;233(6):674-88. 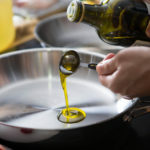 Olive Oil Redemption: Yes, It's a Great Cooking Oil! If only the restaurant industry could get this message! Unfortunately vegetable oils are the default in 99.9% of places (not a formal statistic, but sure feels like it!). As someone who actually does have a bad reaction to vegetable oils (belching and gastric distress), this means I can count the number of times I’ve eaten at restaurants in the past 2 years (since going Paleo) on one hand. 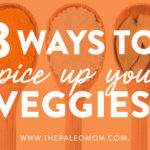 Finding a place that uses good oils takes much longer than actually cooking a meal! Unfortunately as I enter my 20s eating out seems to be a bigger part of social life, especially dating. I wonder if there are any ways that we as consumers can encourage restaurants to use better oils, or failing this mitigate the acute effects of occasional consumption. In the chart, Olice oil means Olive oil? What about Avacado Oil, smoke point 500° F.
Is it true, Real tropical oils won’t go rancid? I noticed that sunflower oil is listed twice in the table with different values for each. I use organic, non-GMO, expeller pressed high oleic sunflower oil but it doesn’t look like it is one of the two listed. According to the label, it has 1 g saturated fat, 11 g monounsaturated fat and 1.5 g polyunsaturated fat. Mark Sisson’s opinion is that this is an acceptable vegetable oil; do you agree? I only use it for mayonnaise and use primarily animal fats to cook with. Thanks for this article!